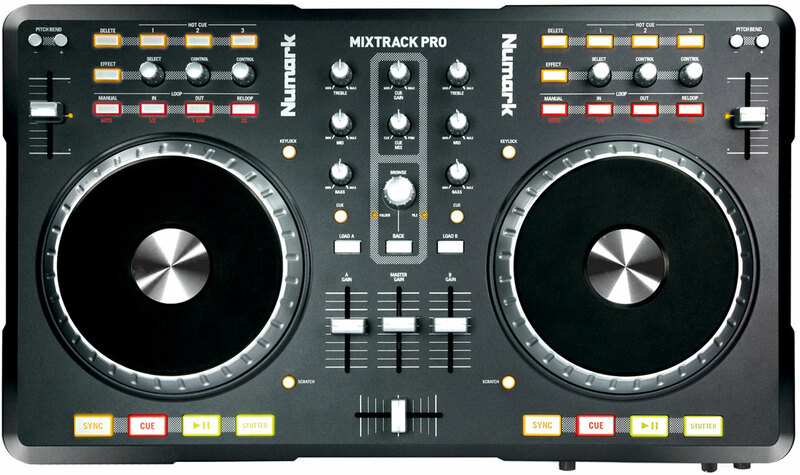 The Numark Mixtrack Pro has all you need to learn to DJ, at a bargain price. As exclusively revealed on Digital DJ Tips six weeks ago, the Numark Mixtrack Pro is Numark’s latest DJ controller, taking its successful Mixtrack DJ controller and adding a two-channel sound interface to make an all-in-one DJ controller that knocks the socks off the competition at this price point. 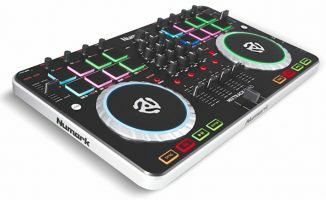 At this keen price point and with this level of convenience and usability, the Numark Mixtrack Pro is our favourite beginners or hobbyist’s controller. It is not professional quality despite its name, but the important things – the jogwheels – are brilliant. The sound quality should be great, and we already know it is great fun to use, as there’s no change from the original Numark Mixtrack there. Plus it is excellently suited to controlling Virtual DJ software, which for DJs who are more interested in replicating vinyl or CDJ performances but with digital (which is most of us) rather than the complicated performances of “controllerism”, is a proven and reliable choice of software, that’s also great fun and easy to learn. And of course, now with the sound card built-in, it couldn’t be easier to set up and transport. One to beat. What do you think? 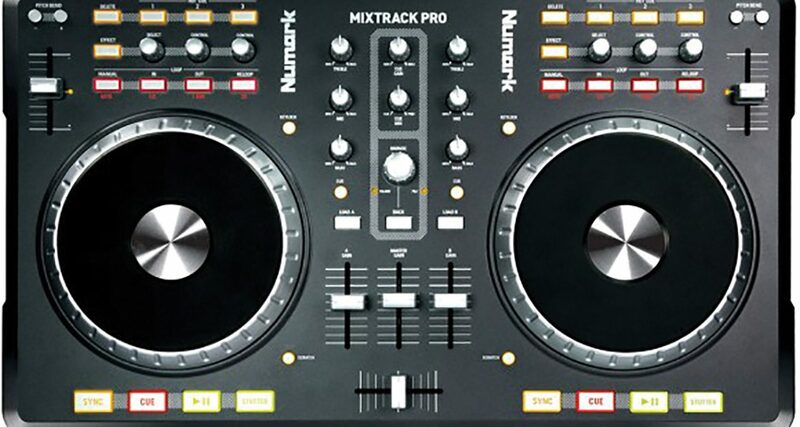 Will you be buying a Numark Mixtrack Pro? Or is another budget controller catching your eye? Let us know in the comments. Been tempted by the Mixtrack and an Audio2DJ although the Mixtrack has taken forever to be released in the UK. Wonder how long the Mixtrack Pro will take before we can get our hands on it, at that price I’m definitely now going to wait, but hopefully not too long. So… If i already have a soundcard… is this worth gettin? or do u suggest the earlier model? Man, I felt like I should have waited to get the Pro version but I think it good to have the seperate DJ IO sound card since I may use another controller at times like a pad controller MPD18 or Livid Ohm. Cheap controllers have terrible soundcards, better to buy the version without audio interface and save some money for a decent soundcard of your choice, good sound is as important for me as the music I play. If you already have a soundcard, get the earlier one. Then just go for the Mixtrack Pro. It’s a great first controller, and you’ll probably keep it for years. To me, external soundcards are often an unnecessary complication. I’m just starting out, it appears that it’s cheaper for me in Canada to get the original Mixtrack with the NI Audio 2 DJ soundcard. Is there any difference in build quality between the original and pro versions? I notice the EQ kills have become Hot Cue buttons on the pro, but I already have an Akai LPD8 I could use for that. Hi Andrew – no there’s no difference at all in build quality. Have no qualms about getting the Mixtrack plus NI Audio 2 DJ. Im looking at getting rid of my two cdj100s because all theyre doing at the minute is gathering dust. In your opinion how does using this controller compare to using pioneers entry level CD player (if youve used them)? Hi Adam. I’ve never used those but I used to have CDJ-500s, that was a while back! If it were me? I’d get the Mixtrack Pro. 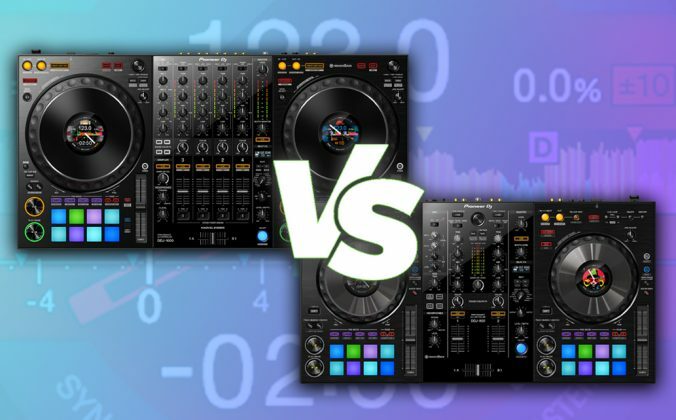 They’re both good units, fun to use, but the Mixtrack Pro is better value in my opinion. However – it’s not out as of this second as far as I know, in which case go for the Mixtrack plus a NI Audio 2 or Numark DJ|IO sound card, or just stick with the Typhoon. If it were me I’d have a Mixtrack as they’re a bit bigger, and thus maybe a bit less fiddly to use. just picked up the mixtrack pro at guitar center. so much fun. As the comment above mentioned, the kills are now hot cues. Are kills totally eliminated, or did they switch to the pushable eq knobs (push down to kill)? 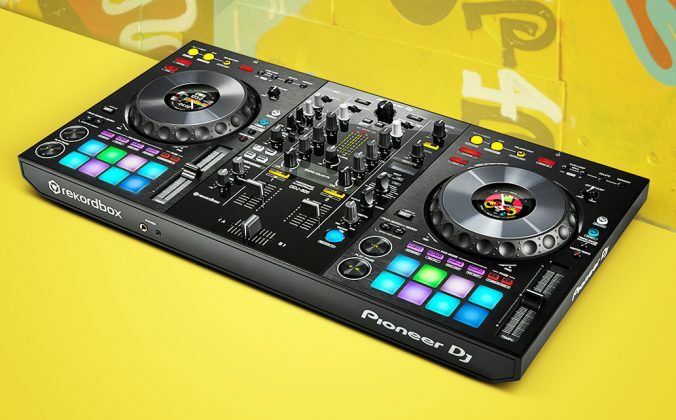 I’m strongly considering buying this, as I just purchased Traktor Pro as part of their 50% off sale. 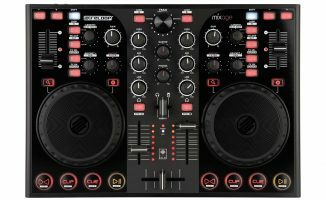 I’ve just gotten into DJing and I just bought the Hercules DJ Control MP3. 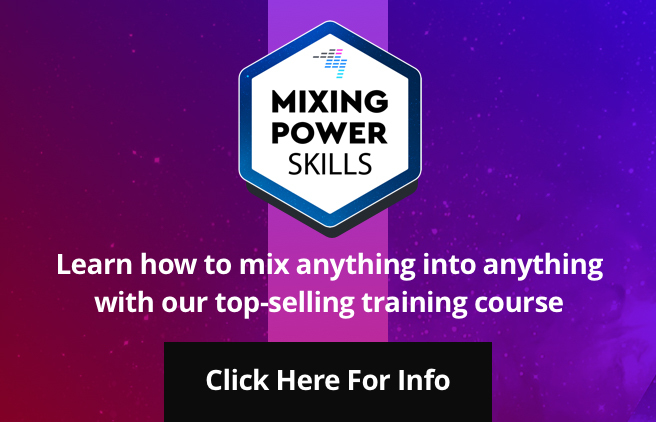 I was looking at the Mixtrack Pro but I’m not sure would I need both of them? Are they the same item with different names? And I have not got a clue what it does… I have to get up on my YouTube videos, I know. But i was just wondering if this would be a smart buy for somebody like me? Just thought id let you know i took your advice and am glad i did. Theres a bit of latency goin on so fader bashing and scratching isnt really an option but theres so much more i can do with this than the cdjs and the jogs are really good. 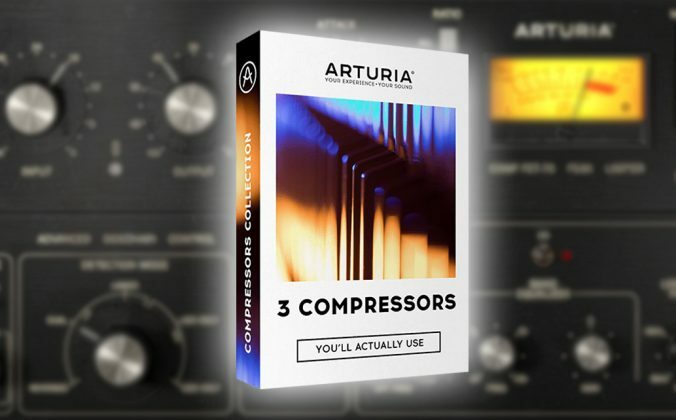 for anyone on a budget who wants something they can have a proper mix on this things great. 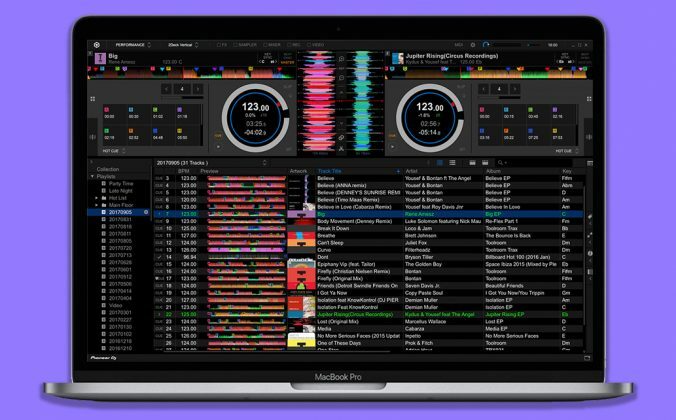 Can the Mixtrack Pro work with Traktor? Please help. The internal sound card is fine. Quick question, is Mixtrack pro compatable with Traktor Pro software? Can you record your mixes directly to your pc? For later playback on your ipod or other device? So the only difference is that it has a built in sound card? Eneg, You can’t record to your PC with the supplied software, you need to upgrade it to the full commercial version. 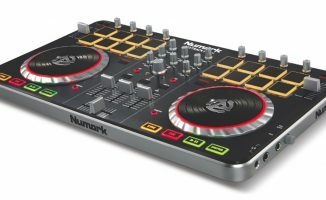 I have an Numark Total Control at the moment and looking to get the MT Pro. The reason for this, is because of the jogs and also the pitch control. Are the jogs motorized or they are free spin like on Total Control? And, when the sync button is used on the TC, the pitch is temporarily deactivated until you move the pitch fader. Does this have the same issue? Jogs aren’t motorised. The above sounds pretty normal – for sync to work it has to override the pitch control setting. Okay, cool. Well it’s still better than the TC, from what I saw on YouTube…So ama go with it. Thanks again! Nothing as far as I can see, both come with Virtual DJ and both have sound cards (I presume you’re referring to the Mixtrack Pro). Where can you buy this for under $250? Hey i have a chance to get a “reloop digital jockey 2 INTERFACE EDITION “for a price near the mixtrack pro. what do you think is the better one. im a beginner and it will be my first controller. hpefully you can help me, thinking abou it for a while. They’re both excellent controllers. The Reloop arguably looks the more professional and does have more functions, but the Mixtrack Pro is THE runaway success controller of 2010 and has the best jog wheels of any controller around this price point. The Mixtrack comes with Virtual DJ which I prefer to Traktor, but Traktor is the industry standard software. Finally, you can plug an external Cd player or record deck into the Reloop which you can’t with the Numark. thanks for that quick answer. sound like i shoud choose the mixtrack pro??? or would you recommand me something else for biginners.? Mixtrack Pro is perfect for beginners. 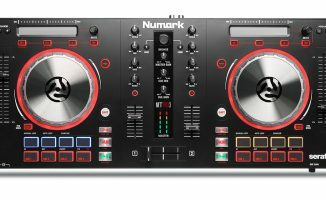 Looking into either DJ-Tech i-Mix Reload MKII or the Numark Mixtrack Pro, which do you believe is better given that I do not mind spending more if the quality is better? How much does it cost to upgrade to Virtual DJ Pro Full from the LE version provided with this controller? I have decided to go for Mixtrack pro. Anybody knows where you get good discount on this in US during Black Friday sales? To DJ Peejays: Thanks for your comment. The upgrade price is from $49 (€37). I tried to email you with further details but the address you gave us is incorrect. 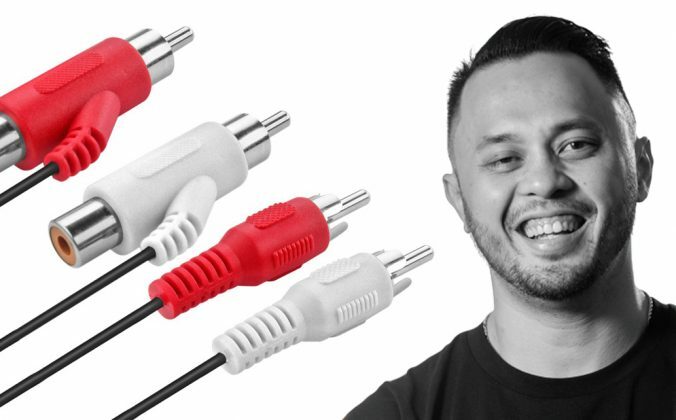 Hi Sameer: The think with the Mixtrack Pro is availability – not many people have it. I know Unique Squared have got stocks so you could try them. It doesn’t have pro standard anything, however I would be happy to use it in a club. Convenience = MixTrack Pro. Sound quality-wise, Audio 2 may just have the edge but I doubt it. More flexible for the future having a separate sound card, though. thanks for the article phil, great website.Why would this controller just be considered as a begginer or hobbyist controller? why would it not work profesionally? 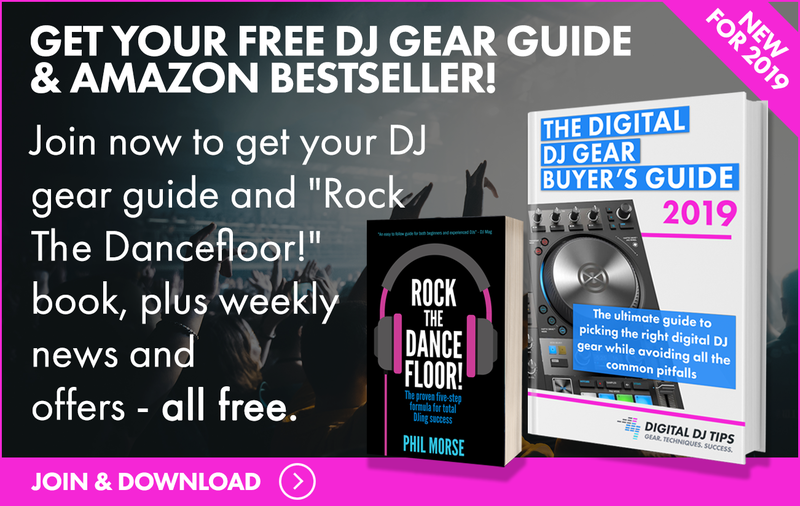 Hey Danny, I think what Phil is saying is that it is an entry level controller and therefore it is great for newcomer DJ’s as it is not expensive as say the Traktor S4. You could still use the Mixtrack Pro controller as a Pro unit however it may not holdup to the constant use say 5 nights a week for 5 or 6 hrs a night. The Mixtrack PRO is a great controller, i have used it lots in a nightclub or school dance or wedding gig and have had no issues at all.